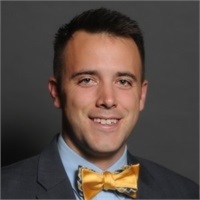 Colin Harper, the son of David Harper, contributes to the Seasons Financial Advisors team in the areas of financial planning, asset management, relationship management, and technical support. Since Colin has joined the team, he has been instrumental in integrating 2 new fee based platforms. Colin is a CERTIFIED FINANCIAL PLANNER™certificant and is passionate about working with clients to reach their goals. During his free time Colin enjoys cycling, surfing, and numerous other outdoor activities.